Trinh Le was preparing for life as a firefighter when his wife and fellow Sacramento State alum, Minnie Nguyen, suggested an alternate career path. Their restaurant, Firehouse Crawfish in south Sacramento, opened in 2011, struggling for three years before finally breaking through. Le and Nguyen now oversee five locations and close to 150 employees. Their success is emblematic of two major Sacramento trends: The city’s food scene is growing fast—and Sacramento State alums are significant players in turning the region into a premier culinary destination. 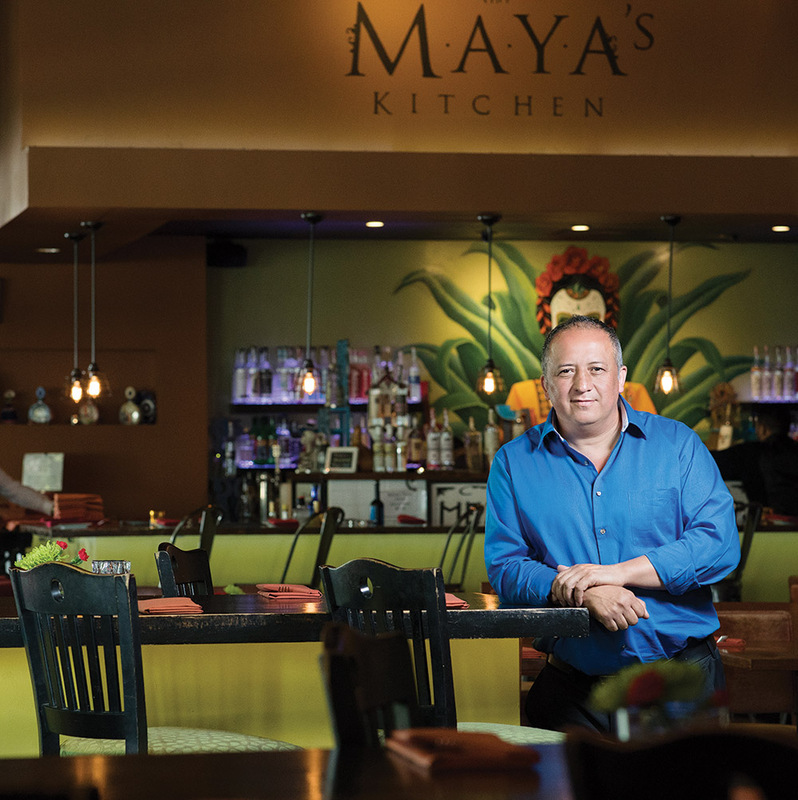 “There’s so much to Sacramento, and we are demanding attention,” says Ernesto Delgado ’98 (Graphic Design), owner of Tequila Museo Mayahuel and La Cosecha in downtown Sacramento, as well as Mesa Mercado in Carmichael. From 2009 to 2017, total jobs in Sacramento grew by 12 percent, but food-services jobs grew by 20 percent, the Bureau of Labor Statistics reports. And a December 2017 Sacramento Bee article counted approximately 100 restaurants that didn’t exist five years earlier. It’s not unusual for leisure and hospitality industries to grow as the economy recovers and workers can better afford dining out and other luxuries, says Sanjay Varshney, a Sacramento State finance professor and chief economist for the Sacramento Business Review. But Sacramento has distinguished itself. 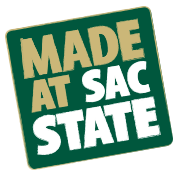 Sacramento State’s connection to the local restaurant scene began long before farm-to-fork became a marketing slogan. In 1969, Randy Paragary ’70 (Government) was a Sac State student preparing for law school. But seeing nowhere in town for people his age to hang out, he opened the Parapow Palace bar and live-music venue at O and 30th streets. 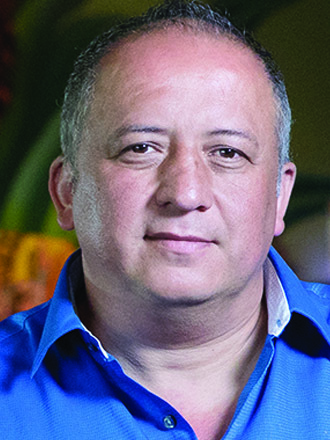 Paragary, his wife, Stacy, and Spataro now own seven restaurants, including Cafe Bernardo and Centro Cocina Mexicana, and oversee about 400 employees. Paragary was a farm-to-fork leader, but another Sacramento State alum took it from movement to marketing success. 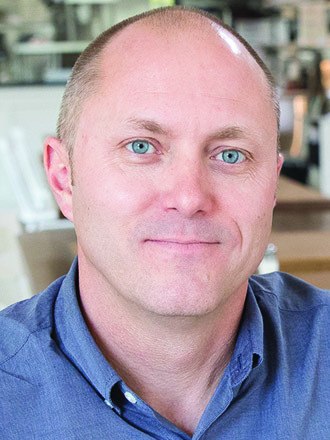 That was Josh Nelson ’98 (Marketing), co-owner and chief financial officer of Selland Family Restaurants. 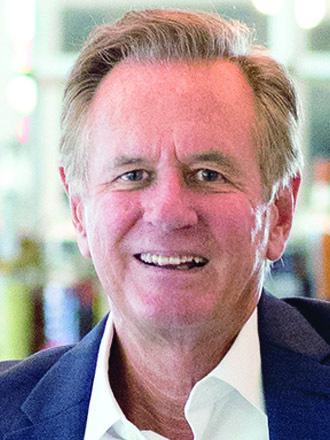 In 2012, he led the group that pitched then-Mayor Kevin Johnson on designating Sacramento as “America’s Farm-to-Fork Capital.” The Selland family – Nelson, sister Tamara Baker and parents/chef owners Randall Selland and Nancy Zimmer – were longtime champions of local, fresh ingredients, and Nelson saw an opportunity to turn a negative perception of the city into a positive one. “Farm-to-Fork” was officially adopted that fall, and—save for some grumbling about replacing the old “City of Trees” motto on the Interstate 5 water tower—restaurants and residents have embraced it. The Tower Bridge Dinner, held during the city’s annual Farm-to-Fork Festival, sells out within seconds of tickets becoming available. Sacramento State has followed suit with an annual farm-to-fork dinner on the Guy West Bridge. The Selland family opened their first restaurant, The Kitchen, in 1991, and they now also operate Selland’s Market-Cafe, Ella Dining Room & Bar and OBO’ Italian Table & Bar. 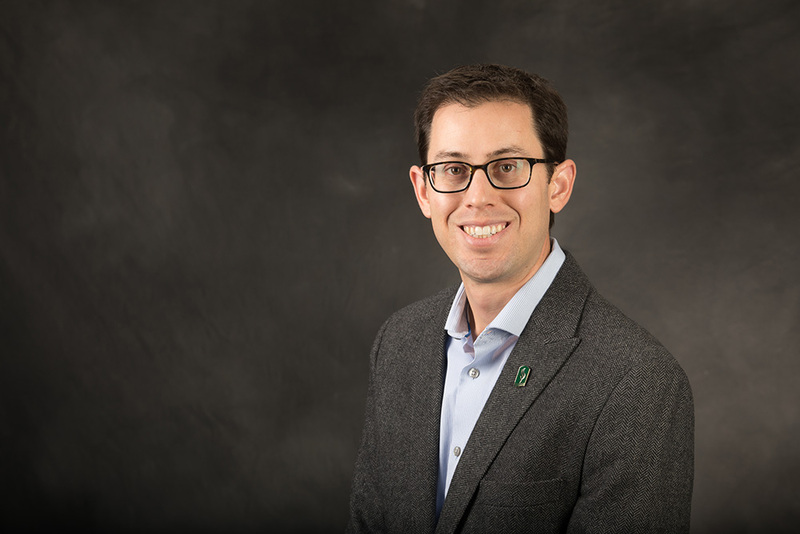 Nelson credits Sacramento State for providing financial and marketing acumen to turn his parents’ dream into a profitable business. 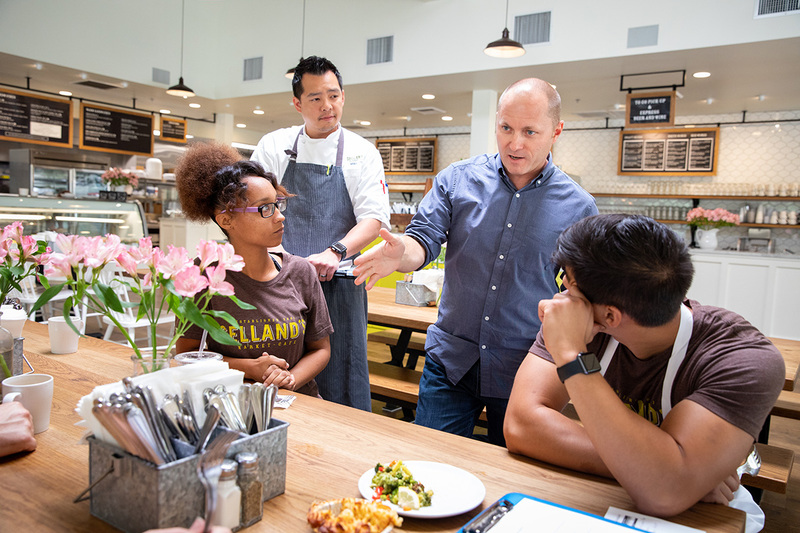 Paragary and Selland may be giants in the world of Sacramento food, but newer names also are making their mark. The pitch by Minnie Ngyuen ’07 (Social Science) to her husband didn’t come out of the blue: Growing up in a large Asian family, she was used to helping her mother in the kitchen and recalls joining her family and friends at massive crawfish dinner parties. 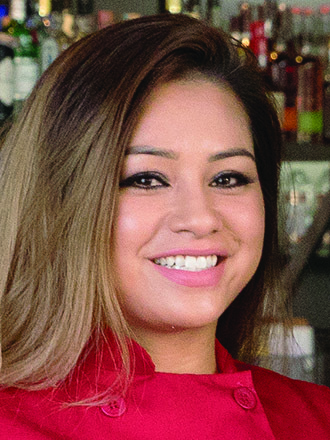 She developed the original recipes for Firehouse Crawfish and is head chef there, at Station 16 Seafood Restaurant & Bar, Station 38 Coffee, and the new Station 8 at the Bank—the names all nods to Trinh Le’s would-be firefighting career. 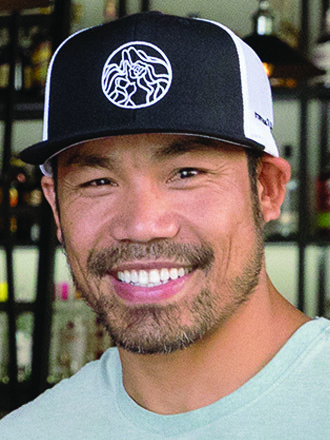 Nguyen focuses on the big picture – new menu ideas, concepts for new restaurants—and Le ’09 (Marketing) puts those ideas into action, drawing upon business acumen he began developing at Sacramento State. Ernesto Delgado is no stranger to creativity. He found his passion for graphic design while at Sac State and operated a graphic design company before opening Tequila Museo Mayahuel in downtown Sacramento in 2011. Diners, he says, seek higher-end and creative experiences, and designers are playing a large part. Delgado is working to make each of his restaurants unique: Mayahuel—in the heart of downtown and featuring rotating art exhibits—is modeled after a museum; Mesa Mercado draws inspiration from its open-air market location; and La Cosecha, on Cesar Chavez Plaza, focuses on outdoor dining and Sacramento culture. 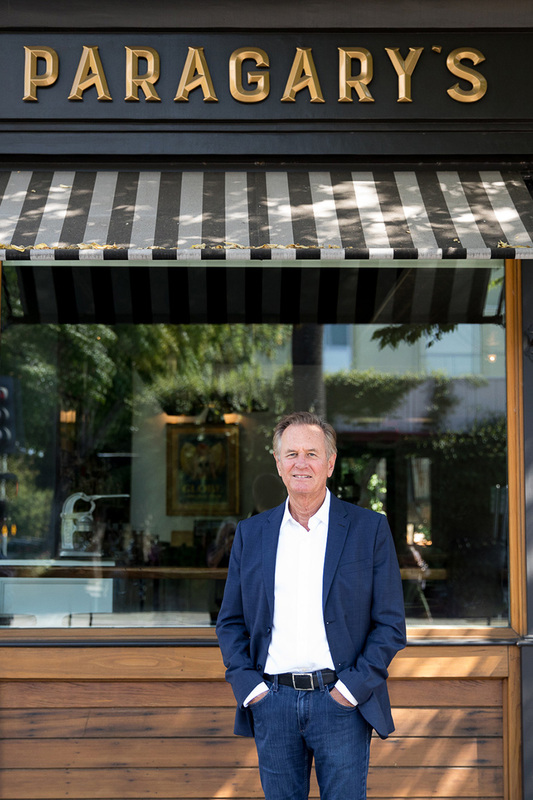 The challenge to consistently have creative and exciting ideas in a market that demands them keeps Randy Paragary excited about his work nearly four decades after opening Parapow. Sitting in his eponymous restaurant, he rattles off the names of other eateries he owns alone or with partners. Most are nearby, and Paragary notes that each had to be different to succeed. “There wasn’t a Day One strategy. I thought I was going to be a lawyer,” he says. “By the time I had graduated and passed the bar, I had done Parapow and had two other places, so I was deep into the restaurant business, and I enjoyed it. What advice do you have for Sac State students who want to be in the restaurant industry?